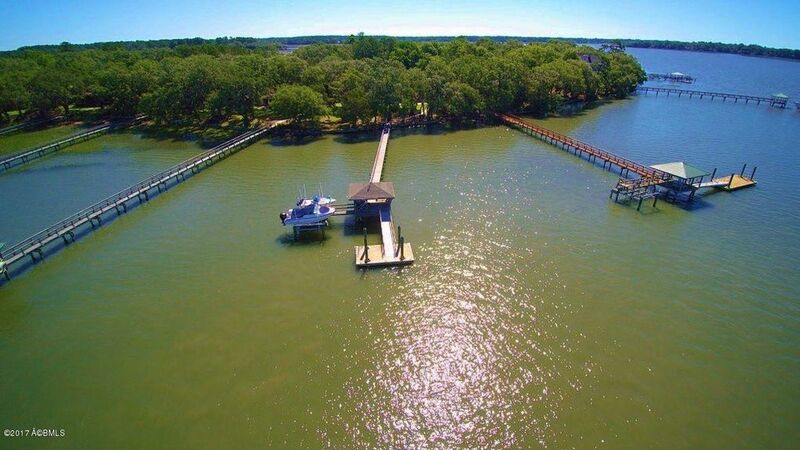 8 Country Club Drive is located in the well established waterfront and golf community of Pleasant Point, on Ladys Island, South Carolina. Country Club drive is a small, quiet street that is at the end of Pleasant Point Drive. 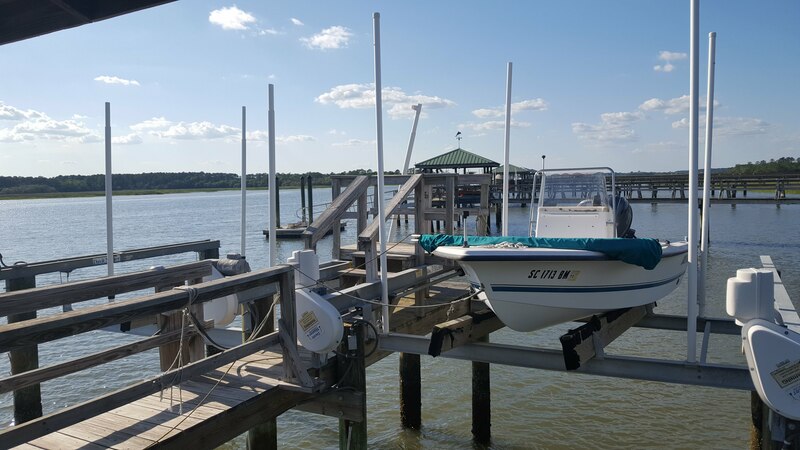 The community is in a great location, being just minutes from local restaurants, shopping, Historic Beaufort, and public boat landings. 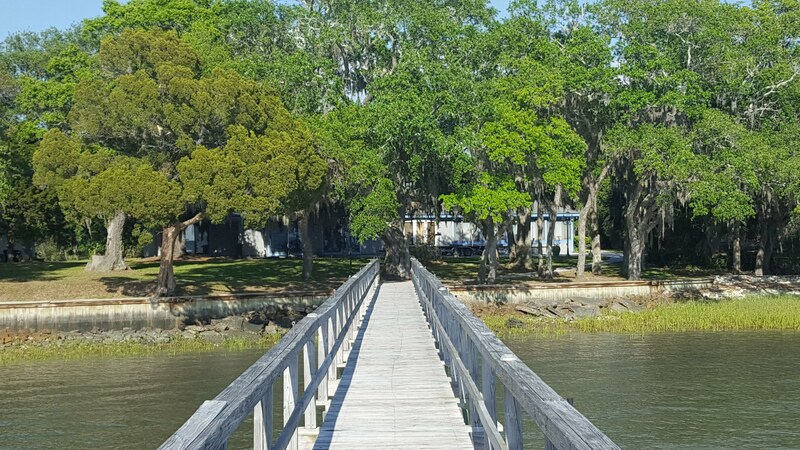 This three bedroom, two bath ranch style home is right on the Beaufort River and ICW. The home is approximately 2168 square feet, and has a private deep water dock with double boat lifts. This home has a charm all its own. 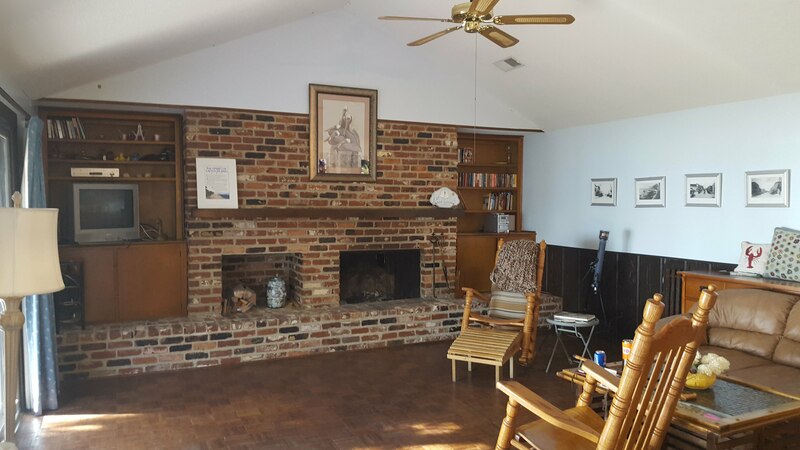 The living room enjoys a beautiful brick fireplace and built in shelving. The vaulted ceilings open up the space, and is complimented by wood floors. There is a nice sized dining area with access to the Carolina room. The kitchen is cozy with opportunity for upgrades. The bedrooms are spacious and carpeted. The master bedroom has it’s own private bath, and access to the backyard. This home has one of the best low country views. Being right on the water, there are many occasions for watching the dolphins , fishing, or spending a day out on the boat. The dock has an outdoor sink area and fish prep station that is covered. There is a double boat lift at the dock, which makes storing your boat simple. The community of Pleasant Point is located on Ladys Island, and was originally a plantation home in 1704. It has expanded from one home, to a beautiful neighborhood community, complete with a community pool, clubhouse, golf, and breathtaking scenery. This community offers everything from waterfront homes to quaint cottages, while capturing the views of the marshlands, waterways, lakes and ponds. Many residents are active, and take advantage of what their community has to offer. 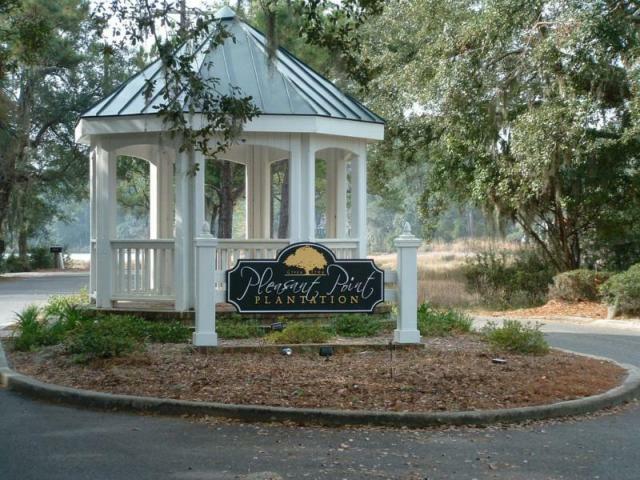 Pleasant Point is just minutes away from downtown Beaufort, golf courses, and the military bases.